A Pakistani cleantech startup has won an award in the global competition of Clean Technology Innovation. The “Green Team” from Pakistan, which was a runner-up last year, has won the award in “Waste to Energy” category. The Green Team developed a technology that converts the hazardous solid waste of industries to pellets or coal-like substance which can be burned to produce energy without any dangerous carbon emissions. The competition was held in Silicon Valley during Cleantech Week in San Francisco. Various innovators from seven countries including Pakistan, Malaysia, Morocco, India, South Africa and Turkey participated in the event. Green India Building Systems and Services Private Limited (GIBBS) won the ‘Global Cleantech Innovation Award’. The Global Cleantech Innovation Programme (GCIP), a joint initiative of Global Environment Facility (GEF) and the United Nations Industrial Development Organization (UNIDO), is a program that empowers emerging startups to solve energy, environmental and economic problems using innovative and green technologies. The best startups from each country are brought together to the Cleantech Open Global Forum in Silicon Valley, California for recognition and awards. This platform provides them the opportunity to connect with potential partners, customers and investors from around the world who support them in developing their innovative technologies into full-fledged market-ready products. 5 startups were selected from Pakistan. Last year, SSUETIAN from Pakistan won this award. Another award for the most promising women-lead business was presented last year to a team of biomedical engineers from Sir Syed University of Engineering and Technology, which designed an advanced energy-efficient incubating blanket which could replace the traditional baby incubator. 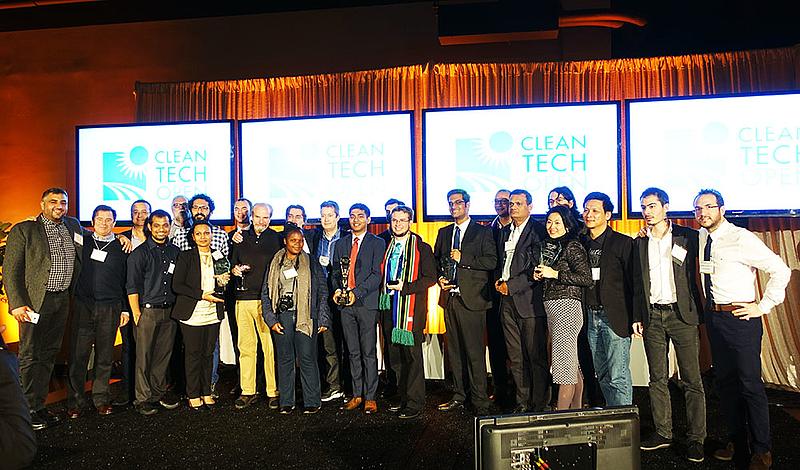 The post Pakistani startup wins Global Cleantech Innovation Award appeared first on TechJuice.